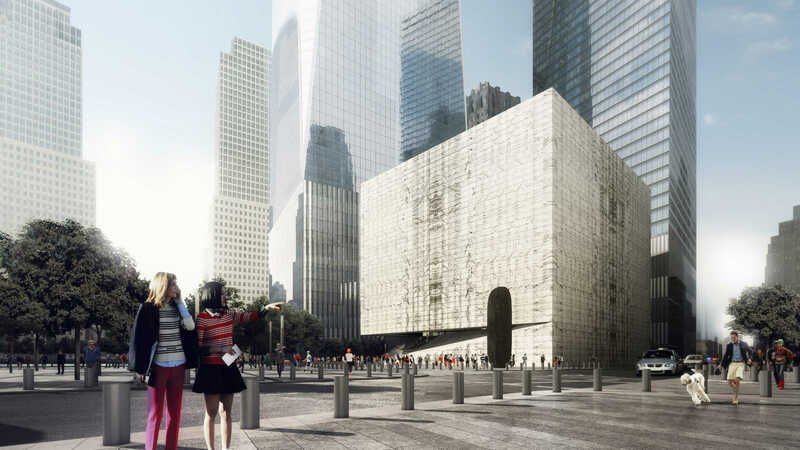 REX‘s performing arts center at the World Trade Center is finally moving forward. Today Governor Andrew Cuomo announced stakeholders had reached an agreement on developing and managing the 200,000-square-foot multipurpose arts space, which was designed by Brooklyn’s REX. Named after financier Ronald Perelman, the Ronald O. Perelman Performing Arts Center will feature three flexible theaters as well as public space—in the form of a restaurant and a gift shop—on the first level. The Port Authority of New York and New Jersey, the bi-state agency that runs the World Trade Center site, will lease space at one dollar per year for 99 years to World Trade Center Performing Arts Center, Inc., the entity that will develop and manage the theater. The agreement stipulates that the lease can be extended for an additional 99 years, and the Port Authority can transfer the land to performing arts center for one dollar if it chooses. Once the deal is inked, the Perelman Center will fork over $48 million—money it’s receiving from the Lower Manhattan Development Corporation (LMDC)—to the Port Authority, which is using the funds to cover the cost of below-ground site work for the building. The site work will be done by the end of this year. The amount is a compromise between the LMDC and the Port Authority: Last year, the agencies couldn’t agree on how much the former owed the latter for the work, an impasse that stalled the project’s build-out. When it’s complete, though, the building should be a stunner. Clad in the same creamy marble as SOM’s Beinecke Rare Book & Manuscript Library at Yale, in renderings the cubed exterior is subtle but stylish, with enough heft to hold its own against the skyscrapers that surround it. REX was picked to design the project back in November 2015, and designs were revealed in a public ceremony less than a year later. Above-ground construction on the site, at the northwest corner of Fulton and Greenwich streets, will begin next year. The Architect’s Newspaper (AN) reached out to REX for comment but did not immediately hear back.